You may have noticed a lot of mushrooms popping up in your yard this fall. 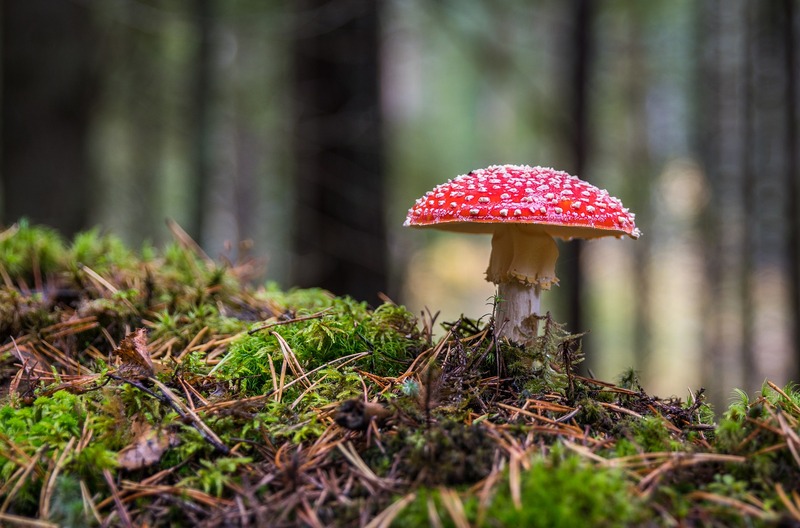 While many fungi are relatively harmless, you should be aware that dogs, curious by nature, can eat anything from sticks to poisonous mushrooms. Just because your dog hasn’t found and ingested mushrooms one year does not mean he will not eat them this year. The “destroying angel” mushroom, one of the most deadly poisonous mushrooms, is prevalent in New England. Pets have been known to snack on these and get deathly ill.
Amanita bisporigera, The Destroying Angel Mushroom. Photo by Dan Molter on Wikipedia. 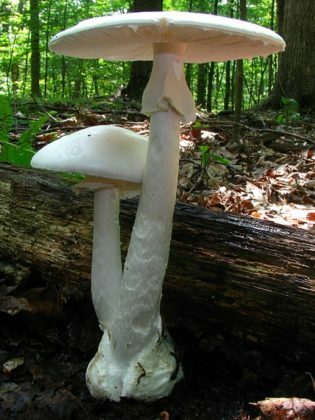 The “Destroying Angel”, or in northeastern North America known as Amanita bisporigera (Eastern Destroying Angel), is a white colored mushroom that can sometimes be hard to distinguish from non-deadly mushrooms. Destroying Angel mushrooms use a deadly kind of toxin called “amatoxins”, which will cause intense gastrointestinal distress after five to twelve hours. Symptoms then remit, and by the time symptoms re-emerge, the victim can undergo kidney or even liver failure. There are very few treatment options available for treating this kind of mushroom toxin. In fact, many humans who are treated ultimately have to undergo a liver transplant to survive. Destroying Angels usually like to live around oak trees and other areas where hard woods are prevalent. They are a typical mushroom shape, and are often stark white in color, but can be slightly yellowish in tint. Since this mushroom can be hard to distinguish from other mushrooms, it may be better just to remove all mushrooms within grasp of your dog (and children!) to be safe. Remove the mushroom by hand (wear gloves! While you can’t be poisoned through the skin, this will help avoid mushroom pieces getting on your hands and the possibility of it entering your mouth) as close to the bottom of the root as possible. This will take care of any immediate threat. However, if you want to prevent it from growing back, you will need to dig out any rotting wood and root structure from the ground. You can then apply a nitrogen-rich fertilizer to your lawn to help speed up decomposition and deprive the mushroom of its food source. For more information about permanently removing the destroying angel mushroom, visit SFGate.com. More information about the destroying angel mushroom can be found on Cornell’s website by following this link.